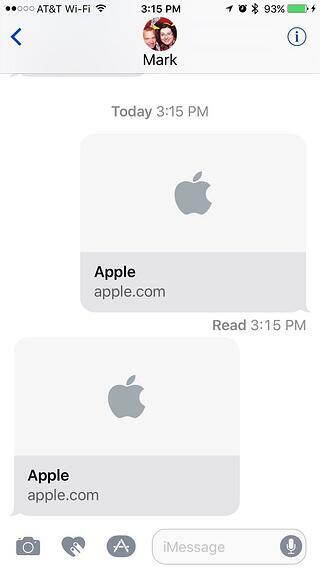 The rich previews inside iOS's iMessage app are generated entirely by a couple of Facebook's open graph tags. These tags are placed inside the <head> section of a website. 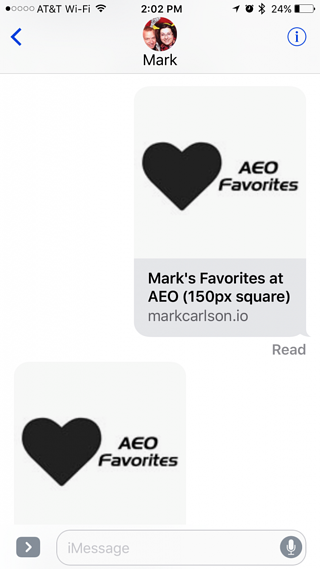 Facebook supports several of these tags, but iMessage only uses 2, "og:title" and "og:image"
Title text length is limited to around 44 characters in iMessage. Additional text is clipped and replaced with ellipses. GIF and dynamic images don't work when specified in the image tag. The recommended preview image size is 1200 x 1200 or larger. Reddit uses a 70 x 70 square image for its thumbnail. Images of all sizes are automatically resized down to this. 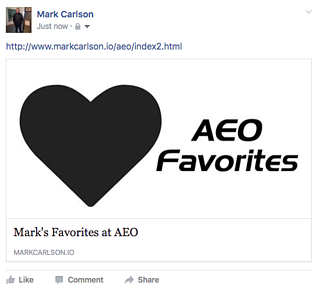 Facebook recommends 1200 x 630 for og:image dimensions. This gives your shared post a full-size image above the post text. Image resolution as low as 600 x 315 will also be handled this way. Although it displays an image at this size, it's getting visibly pixelated on a retina display. 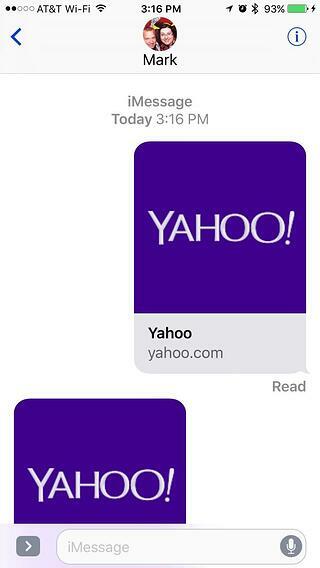 How does this same image look in a Facebook share? As you can see, the best we get at this resolution is a smaller image on the same line as the post text. 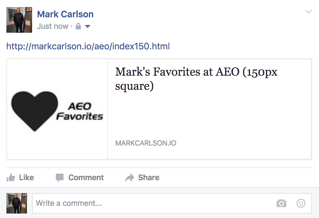 Facebook open graph tags can greatly enhance the experience of link sharing on mobile devices and on social media platforms. 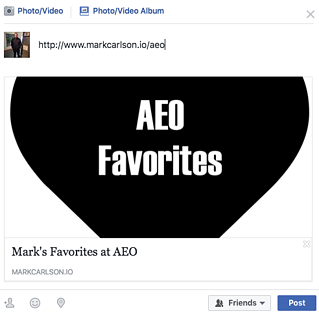 Improve your user experience with visually enhanced links to share. Remember to use a 1200 x 1200 image that will look good both square and cropped to 1200 x 630. Then add 2 meta tags at the top of your HTML, to increase the chance of additional clicks and higher conversions! 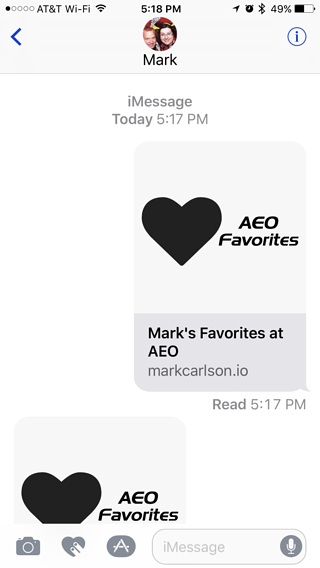 Mark Carlson is a Senior UI Developer at Avenue Code. 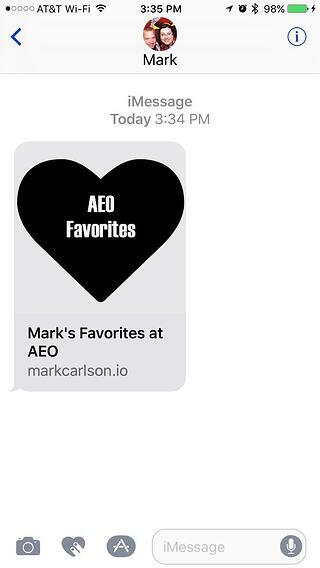 Once a radio station personality and programmer, Mark built an online music research system to help determine song rotations. That project turned into a business of its own, taking Mark out of the on-air studio. Now, Mark is sharing his web development experience with Avenue Code clients in the SF Bay Area.